Karaite physician and ḥakam at Cairo at the end of the fifteenth century and at the beginning of the sixteenth. He was the author of 224 poems, finished in 1489, on the weekly lessons, entitled "Sefer Zeraḥ." Another selection of 237 poems for Saturdays and feasts was written by him about 1500 under the title "Taḥkemoni." Both works are still extant in manuscript in the Firkowitz collection at St. Petersburg. 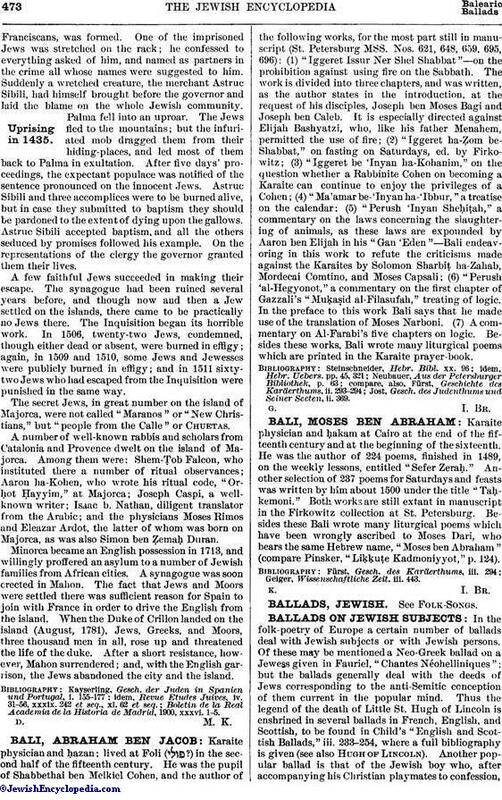 Besides these Bali wrote many liturgical poems which have been wrongly ascribed to Moses Dari, who bears the same Hebrew name, "Moses ben Abraham" (compare Pinsker, "Liḳḳuṭe Kadmoniyyot," p. 124). Geiger, Wissenschaftliche Zeit. iii. 443.